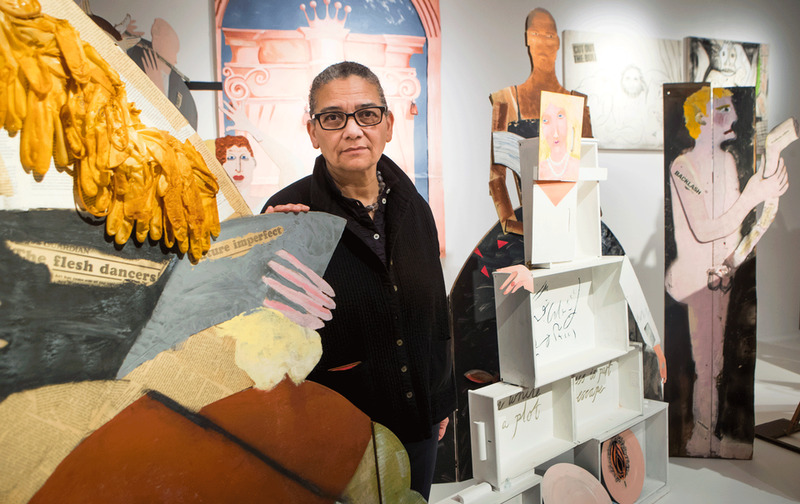 Lubaina Himid’s Turner Prize win is richly deserved. Her paintings and painterly sculptural tableaux, teeming with powerful political and social messages and no shortage of absurdity and wry humour, have been a consistent, if too little acknowledged, presence on the British art scene for decades. But her win raises all sorts of questions about the Turner Prize’s past, present and future. The variety of rich, unsettling and often anger-stirring work made in Britain at that time was revealed in one of this year’s best exhibitions—The Place is Here, which featured Himid and a number of her black and Asian peers and was shown in Nottingham, Middlesbrough and London. And yet that dynamic scene was ignored in the Turner Prize’s early years; all the artists shortlisted in 1984, the prize’s inaugural year, ultimately went on to win the prize. Indeed, it took until 1995 for Himid’s work to enter the Tate’s collection. Alex Farquharson, the director of Tate Britain told the Guardian newspaper after yesterday’s announcement that Himid’s works for the show “offered a great summation of her practice over the past few decades and also revealed how vital her work is at the present moment”. All of which is a rather loose interpretation of “new developments” in art. A test of whether the Turner Prize is sticking to its neophile credentials or resorting to producing mini-retrospectives of long established artists should come next year. John Akomfrah’s Purple at the Barbican is one of the outstanding works of 2017 and should prompt his presence on the 2018 Turner list. Akomfrah, like Himid, featured in The Place is Here and missed out on the Turner Prize during the under-50 years. If he is shortlisted, I hope it is Purple that is shown rather than his 1980s masterpiece Handsworth Songs.